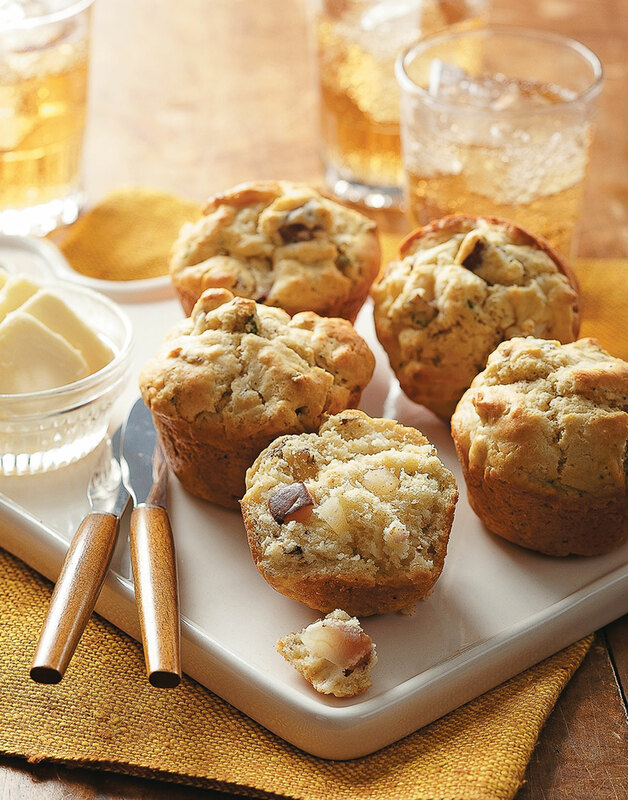 These savory muffins are a refreshing change of pace from sliced bread and simple salads — these sage and-pear morsels really hit the spot. Any firm pear will work well in these muffins — or, give an apple a try. Preheat oven to 400° with rack in middle position. Coat 8 cups of a 12-cup muffin pan with nonstick spray or line with paper liners. Whisk together flour, sugar, baking powder, salt, and pepper in a bowl; stir in pear, walnuts, and sage. Combine milk, butter, and egg in a bowl, then stir into flour mixture. Scoop batter into prepared muffin pan. Bake muffins until golden brown, 18–22 minutes.